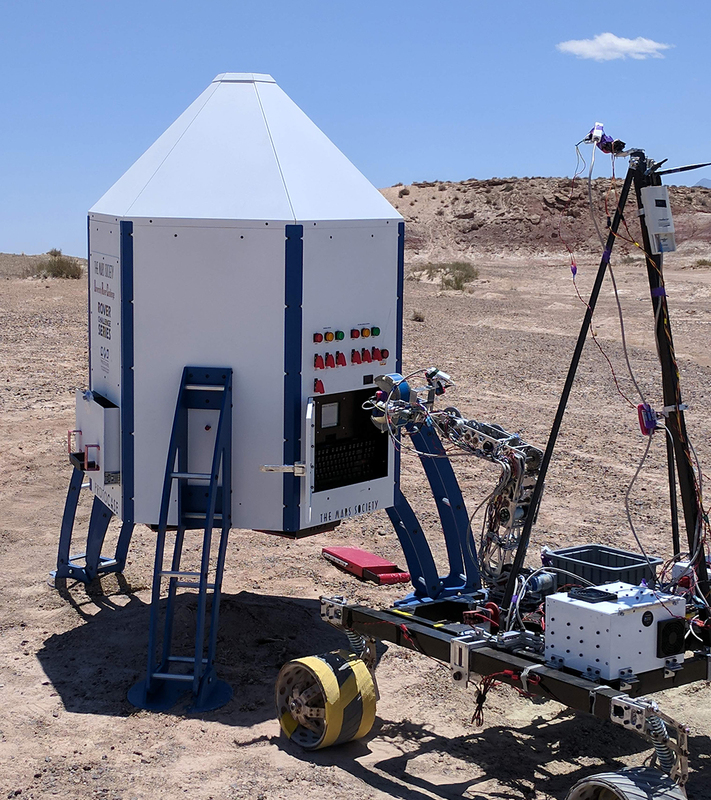 The U-M Mars Rover Team brought a new remote astronaut assistant to the University Rover Challenge in the desert of southern Utah, pulling off a 9th place finish out of 36 competing international teams and 3rd out of the US teams. This year’s model, called “Phoebe,” received a major design overhaul that gave her a speed boost and a brand new codebase that can be used for years to come. Phoebe abandoned the six-wheeled suspension system of their previous models in favor of a system that would allow for faster travel. The team also left more room for the different subsystems with a much larger chassis, and redesigned the soil acquisition drill and robotic arm from the ground up. With the largest number of programmers in MRover history, the team undertook the task of rewriting the rover’s entire codebase to create a maintainable codebase that they can adapt for future models. This time, instead of using the popular Robot Operating System, they developed simpler software more focused on the team’s particular needs. This included developing their own simulators to rapidly test code without a finished rover, as well as implementing an "edge computing" approach that divides computing between many small computers and microcontrollers on the rover. 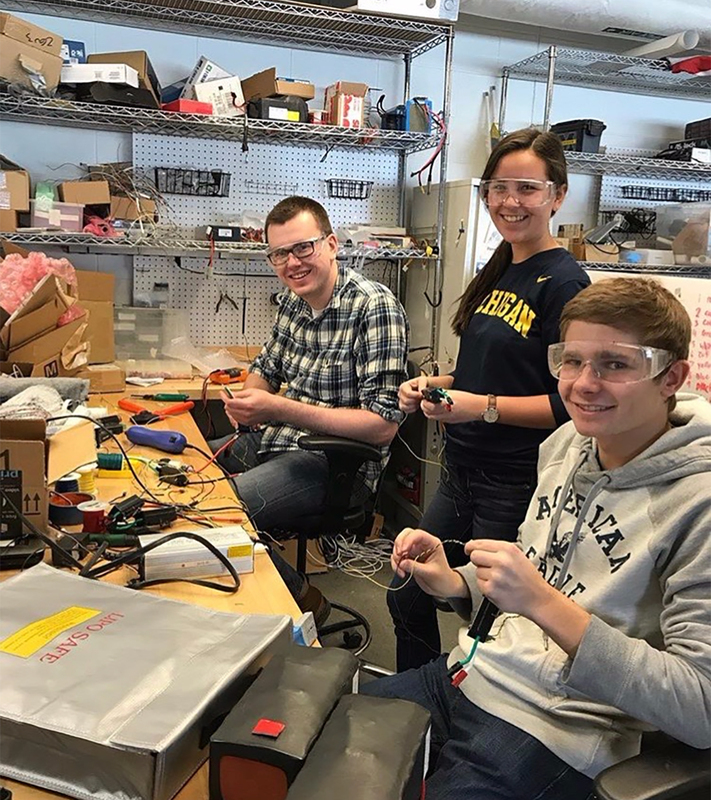 The electrical team, led by Computer Engineering student Matthew Price, took on the challenge of making their own custom PCBs for the rover. The team had never attempted this before, and the new designs allowed them to greatly reduce the size of their sensor package. “None of us had any experience designing a PCB, so it was interesting to learn a new skill together as a team,” says Price. The University Rover Challenge tasks teams with maneuvering through unpredictable, rocky terrain using only the cameras on their rovers, simulating the experience of driving a rover on Mars. In light of recent interest in autonomy, the URC implemented an autonomous navigation task in 2017, adding an additional software challenge to the competition.